Josip Peruzovic (1947 – 2018) was born in Croatia and became famous as Nikolai Volkoff, the villainous Soviet wrestler. He and The Iron Sheik were WWE Tag Team Champions and had memorable bouts against superstars Sgt. Slaughter, Hulk Hogan, and Bruno Sammartino. He was inducted into the WWE Hall of Fame in 2005. For full obituary and coverage from Legacy.com, click here. 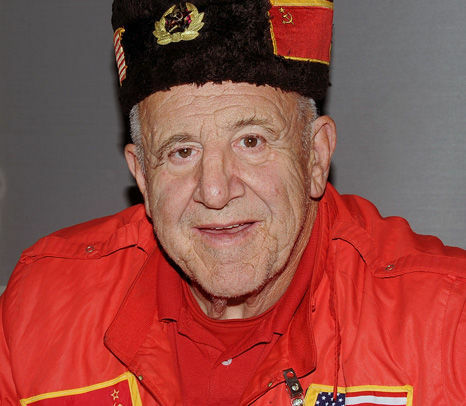 Get email updates about Nikolai Volkoff delivered directly to your inbox. May 'God' give the VOLKOFF FAMILY peace at this most difficult time. I am so sorry to hear hear of Mr. Peruzavic's passing. My condolences to his family. I spent much of my teens watching Nikolai Volkov wave the Soviet flag and sing their national anthem. Although he portrayed a villain I know that he was far from the character he portrayed for the WWF and was always one of my favorites. I feel like a piece of my childhood has gone along with him. My thoughts and prayers are with his family and know that he has touched so manny lives. It's hard to lose someone you love. Condolences to the famiily. May your fondest memories and and God above bring you comfort.